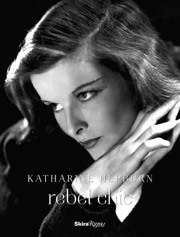 This companion book to the “Katharine Hepburn: Dressed for Stage and Screen” exhibition contains five essays discussing how the actress developed her personal style and public image as a style rebel. She famously dressed in trousers and loose shirts because she preferred their comfort over more constrictive skirts and dresses. She cultivated her counter-culture image very carefully, but at the same time was very interested in clothing design, working closely with designers she had hired herself to create her movie outfits. Rebel Chic sheds more light on both fashion personas: glamorous film star versus tomboy. With many never-before-published images of the actress’ costumes and personal wardrobe. 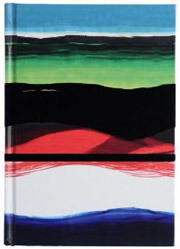 Beautiful journal from the Christian Lacroix Papier Collection with 128 ruled pages, and a contrasting black and white chevron striped ribbon marker. The print and colours reminded me a little of Angie’s fantastic new twinset. 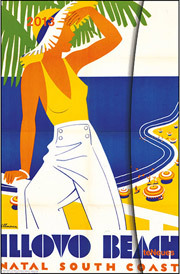 This compact diary showcases a collection of vintage travel ads evoking an era when travelling in style was de rigueur. Comes with a six-language weekly calendar grid, room for travel notes, and a handy storage pocket in the back. 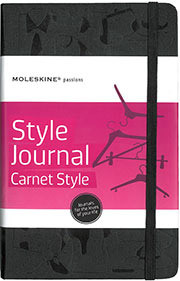 A journal to keep track of all your sartorial musings, organize your wardrobe, collect wish and gift lists, plan your shopping expeditions and keep all other relevant style info at your fingertips. This 14 pages square wall calendar comes with a free fridge magnet, and will induce a smile every time you look at it if you like fun, mod colours and timeless Audrey rocking a little black dress and hats.